Narin Kittisuwannadech - The Red Kettle. Oil. Jessica Ashton - Storm is coming. 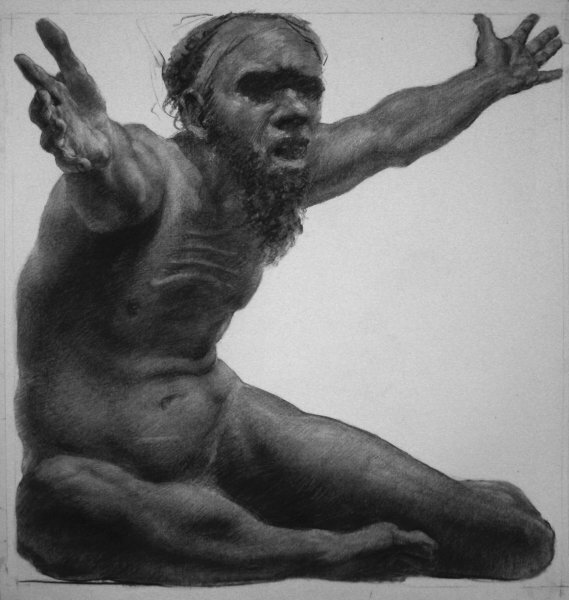 Charcoal and chalk, 2013. Jessica Ashton - Nowhere Land. Charcoal and Chalk, 2013. Jessica Ashton - Dawn. Oil on Board, 2013. Francis Giacco - The Shroud. Oil, 2013. 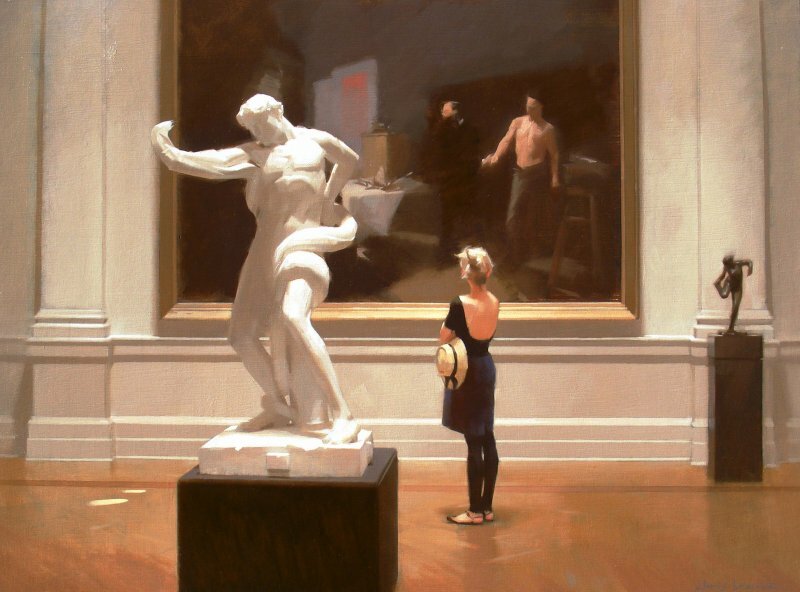 Francis Giacco - The Pose. Oil, 2013. Francis Giacco - Distracted. Oil, 2013. David Briggs - Gordons Bay October 2013. Oil, 2013. Rod Wong - Untitled II. Oil. Robert Dujin - River Gums. Oil. Richard Porter - Oberon Theatre, Goulburn. Oil. Murray Bird - Poppies. Oil. David Briggs - Still Life. Oil. Chris Browne - Untitled. Oil on marine ply, 2012. Chris Browne - Untitled. Pencil on paper. 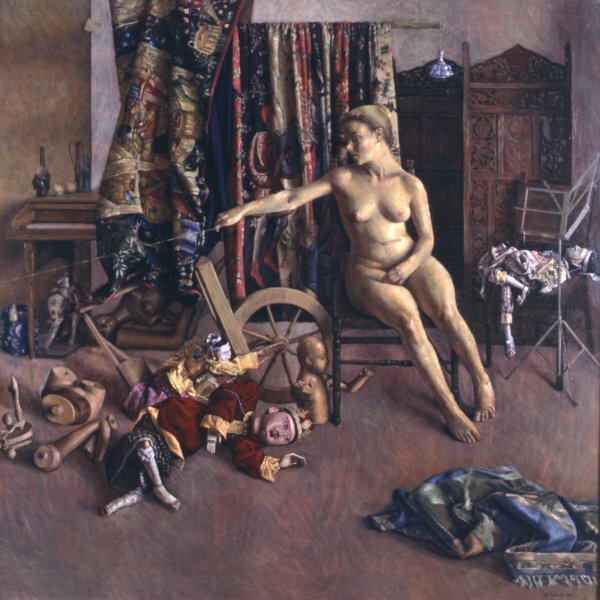 Chris Browne - Figure Study. 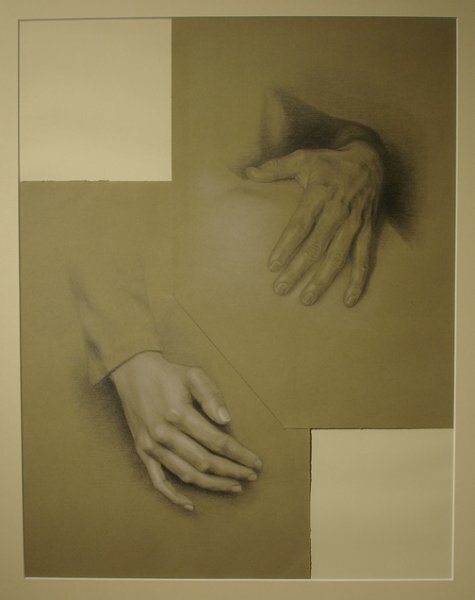 Pencil and chalk on paper, 2011. Chris Browne - Scapula. Oil on marine ply, 2011. Murray Bird - Bloom. Oil. David Briggs - Lyndall, oil on canvas. 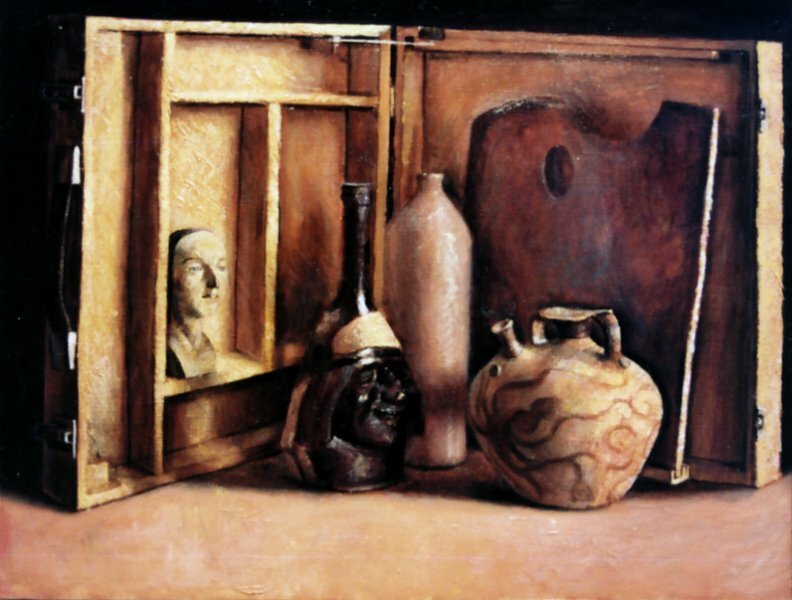 Richard Porter - Still life. Oil on canvas. Richard Porter - Landscape. Oil on canvas. Alberto Proietta - Sweet Little Homegrown Pineapple. Oil. Alberto Proietta - Still life with Frangipani. Oil. Alberto Proietta - Pope Innocent, after Algardi. Plaster cast. 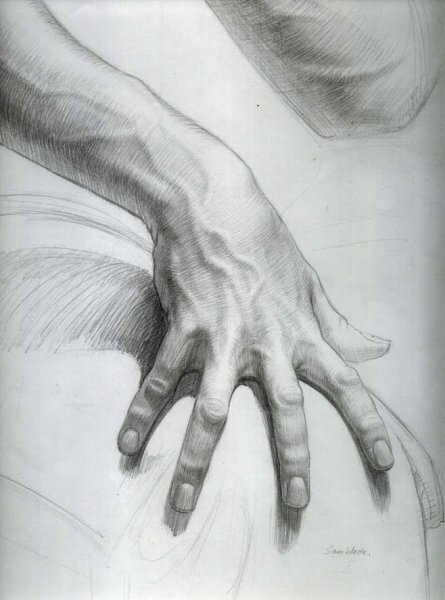 Alberto Proietta - Hand studies. Charcoal and pink pastel on green paper. Alberto Proietta - Fort Denison and Mrs Macquarie's Chair. Oil. Alberto Proietta - Eye, After Michelangelo. Plaster cast. Alberto Proietta - Dad. Graphite and pink pastel on red paper. Guy Troughton - Gold Rush. Acrylic. Guy Troughton - Stilts. Watercolour. Guy Troughton - Red Capped Plover. Watercolour. Guy Troughton - Pelican Perch. Watercolour. Guy Troughton - Natural Selection. Oil. Guy Troughton - Duck House. Watercolour. Guy Troughton - Cellar Door. Watercolour. Keith Dewell - Oil on linen. Keith Dewell - Charcoal on paper. Robert Dujin - Walking the dog. Oil on canvas. Robert Dujin - New Pathway. Oil on canvas. Robert Dujin - Fizzi Fraz. Oil on canvas. Jessica Ashton - Still life. Oil on canvas. Ross Harvey - Ingres. Oil on canvas, 2010. Ross Harvey - Correggio. 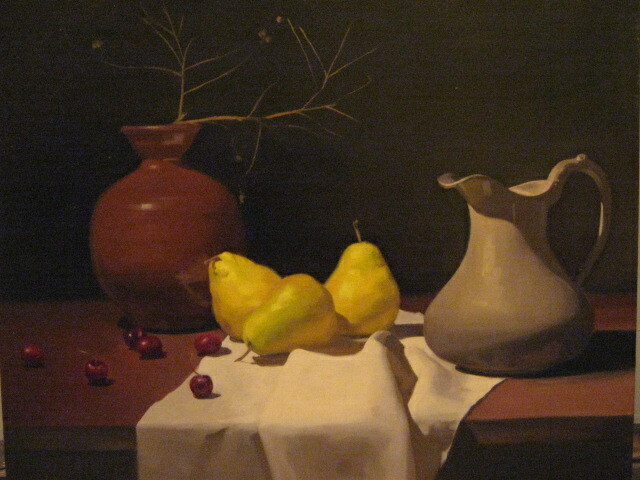 Oil on canvas, 2009. Owen Thompson - Western shore. Watercolour on cotton. Owen Thompson - Waveburst. Watercolour on cotton. Owen Thompson - St. Albans stream. Watercolour on cotton. Owen Thompson - Point Perpendicular, Jervis Bay. Watercolour on cotton. Owen Thompson - Misty eucalypts. Watercolour on cotton. Owen Thompson - Hawkesbury River resident. Watercolour on cotton. Owen Thompson - Gliding still. Watercolour on cotton. Owen Thompson - Drought-breaker. Watercolour on cotton. Owen Thompson - Copper coloured range, Rylstone. Watercolour on cotton. Owen Thompson - Cliff lines, Leura. Watercolour on cotton. Francis Giacco - Untitled. Oil on board. Francis Giacco - Untitled. Oil on canvas. Francis Giacco - Homage to Vuillard. Oil on board. Francis Giacco - White widow. Oil on board. Francis Giacco - The Annunciation. Oil on board, 2005. Francis Giacco - Musician. Oil on board, 2005. Sam Wade - St. Mary's Cathedral. Graphite on paper. Sam Wade - Male figure study. Graphite on paper. Sam Wade - Hands, detail. Graphite on paper. Sam Wade - Female portrait study. Graphite on paper. Sam Wade - Self-portrait. Oil on canvas. Sam Wade - Pope cast. Oil on canvas. Ben Smith - Clash. Oil on board, 2007. Ben Smith - He is of uneven temperament. Oil on board. Winner of the Amanda Phillips Emerging Artist Award at the Mosman Art Prize, 2010. Ben Smith - The safeguard. Oil on board. Ben Smith - Things could go either way. Oil on board. Finalist in the Redland Art Award, 2010. Ben Smith - The influence. Oil on board. Finalist in the Kilgour Art Prize, 2010. Ben Smith - In two minds (double self-portrait). Oil on board, 2009. Finalist in the Doug Moran Portrait Prize, 2009. Ben Smith - Doubt begins at breakfast (double self-portrait). Oil on board, 2010. Finalist in the Doug Moran Portrait Prize, 2010. Ben Smith - Mama was a dingo. Oil on board, 2009. Ben Smith - Energy and lethargy. Oil on board, 2009. Ben Smith - Thirst and flight. Oil on board, 2006. Ben Smith - Hummingbird eating a pink lady. Oil on board, 2007. Josefia Lemon - Tranquil morning. Watercolour. Josefia Lemon - Tranquil morning, Middle Harbour. Watercolour. Josefia Lemon - Morning light, Middle Harbour. Watercolour. 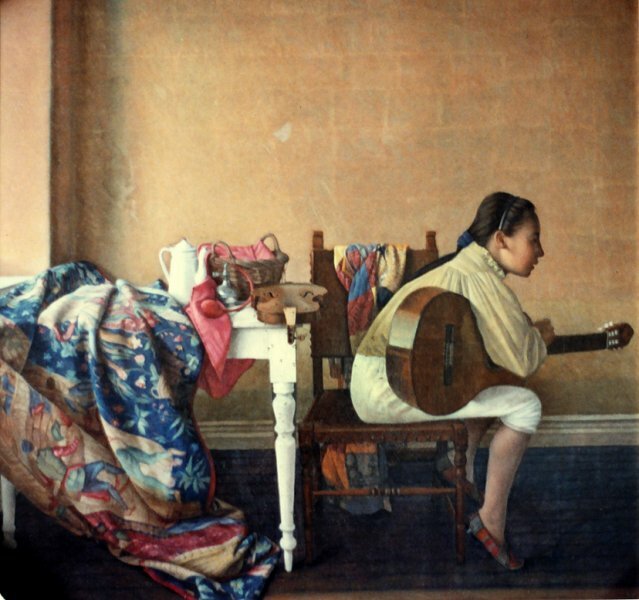 Narin Kittisuwannadech - Untitled. Oil on canvas. Narin Kittisuwannadech - Tibet sitting. Watercolour on cotton. Narin Kittisuwannadech - Sleeping. Oil on canvas. Narin Kittisuwannadech - Skye. Oil on canvas. Narin Kittisuwannadech - Shaving. Oil on canvas. Narin Kittisuwannadech - Garden wedding. Oil on canvas.